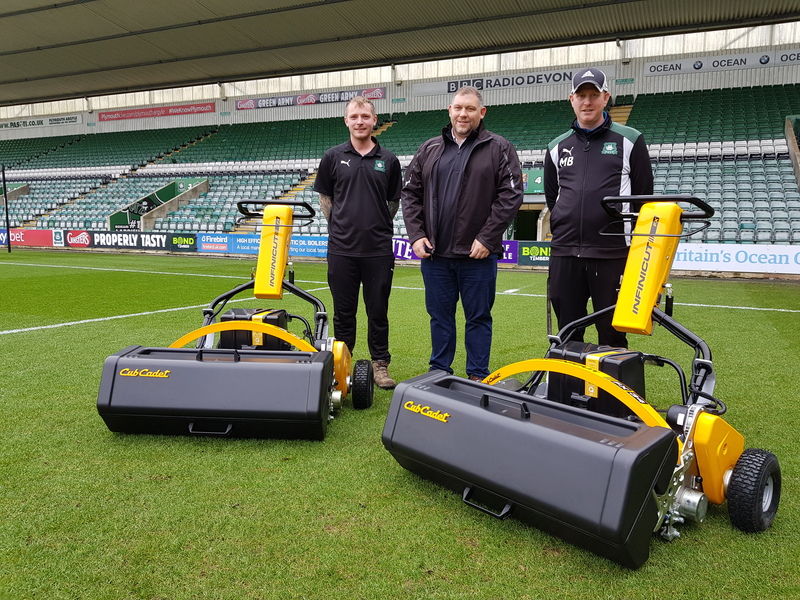 Shinners Bridge Garden Machinery have recently partnered with Plymouth Argyle Football Club by supplying two state of the art battery powered cylinder mowers. They have traditionally used petrol powered machines but have decided to swap to the new renewable technology. Benefits include very low maintenance costs, no petrol, zero emissions and almost silent, great for when the new stand is finished (the groundstaff wont disturb anyone using the new grandstand facility currently under construction with noisey mowers). 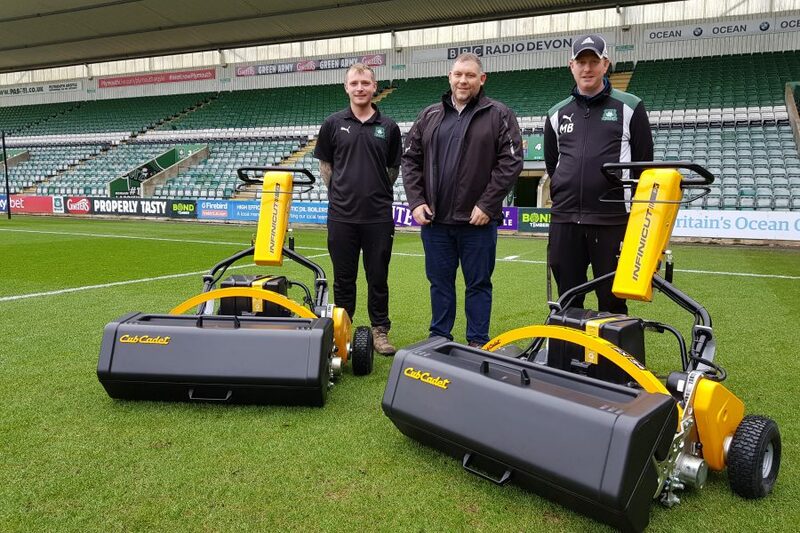 Over half of the Premier league now operate these machines along with sporting venues such as Wimbledon Lawn Tennis Club and Real Madrid, who are using 22 of them! Plymouth may be in League One at the moment by they are definitely thinking Premier League.